Arguably the most-anticipated release of the year for the Nintendo Switch has arrived this month, and it’s name is Super Smash Bros. Ultimate. If you’ve yet to pick it up by now, or need help knowing what to get for it, we’re here to help you shop till you drop. Whether the game itself, the new amiibo, or extra controllers to play with, here’s everything you’ll want if you want to smash right. Due to their limited availability, the $350 Nintendo Switch bundle with the game’s digital code and the Europe-exclusive Limited Edition bundle won’t be included. Super Smash Bros. 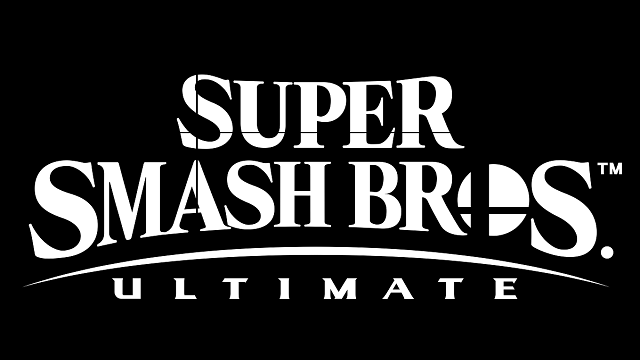 Ultimate is the latest iteration of the classic fighting franchise, featuring over 100 stages, 74 characters at launch, and a massive new adventure mode known as World of Light. The base game retails for the usual $59.99 USD. Rest assured, we at oprainfall are working on a review of this massive game, and will have it up in due order. When Super Smash Bros. for Wii U/Nintendo 3DS were launching in 2014, Nintendo made less of a promise that paid DLC was coming apart from the news that early adopters would get Mewtwo for free. 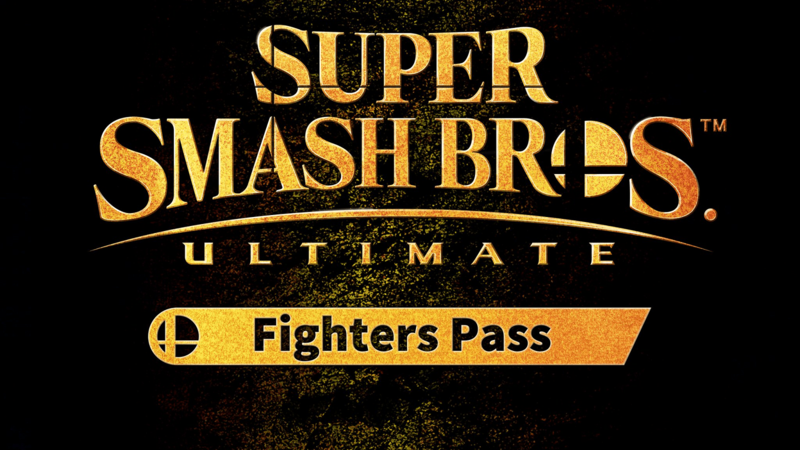 This time, Nintendo was more upfront that five new DLC characters and stages will arrive across 2019 via a glorified season pass. The first post-launch character Piranha Plant is due in early-2019 and is free if you purchase and register the game to My Nintendo by the end of January. The first of the paid DLC will feature Joker from Atlus’s Persona 5 as a playable fighter. 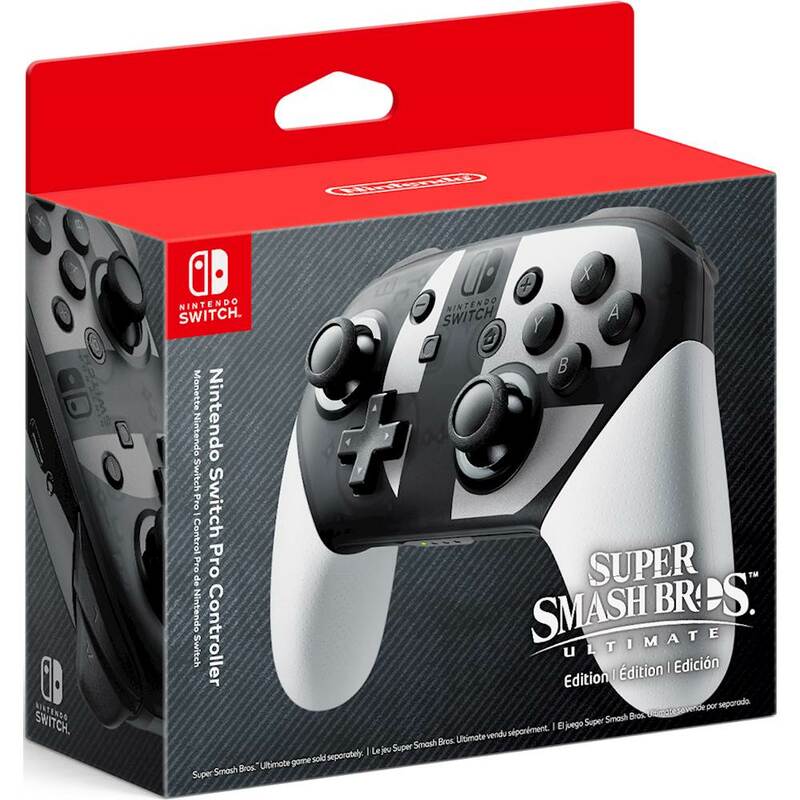 The Switch-native Pro Controller gets a new special edition tied just to Super Smash Bros. Like previous special edition pads as Splatoon 2 and Xenoblade Chronicles 2, this one will be tricky to find easily, and at normal price, so hunt fast if you want an extra controller for your Smash parties. Plus, the Pro Controller is not a bad way to play. 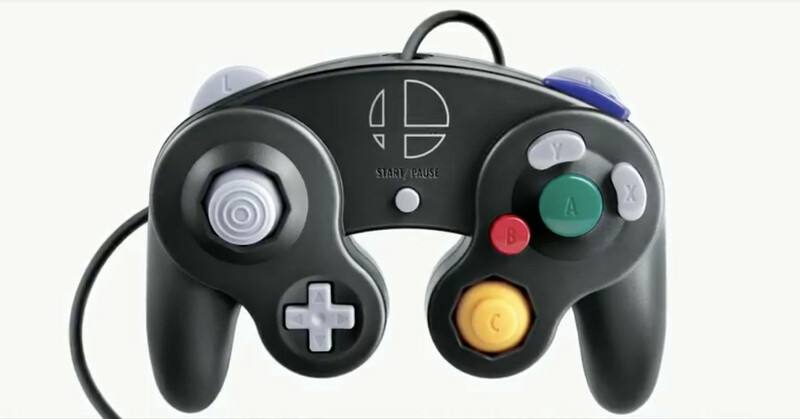 Nintendo’s most enduring controller has made its return once again for Super Smash Bros. Ultimate in a new edition that features the game’s logo. 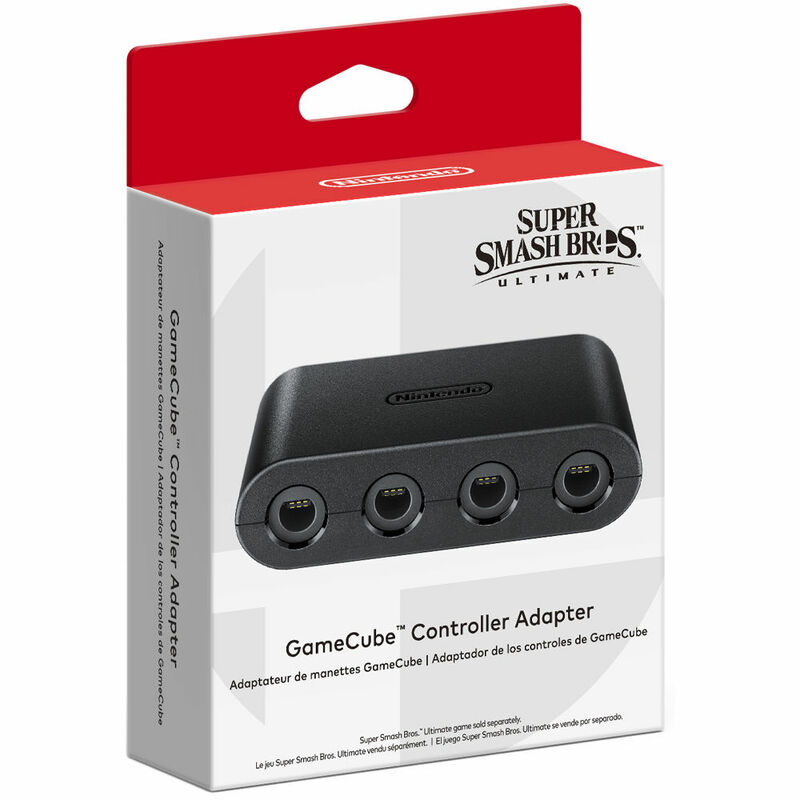 As it’s from Nintendo themselves, it is a real GameCube controller that works on any GameCube, Wiis with GCN backwards compatibility, and the GameCube controller adapter (see later down below). Unlike Nintendo’s own GameCube option, Hori and PDP’s option below connect through USB and are fully compatible with every Switch game. With Hori’s controller, there are some large exclusions that may prohibit full Switch compatibility. There’s no rumble, NFC, or motion sensing, but those exclusions allow the Hori controller to be both lightweight and cheap. Available in three designs based on Mario, Zelda, and Pikachu. 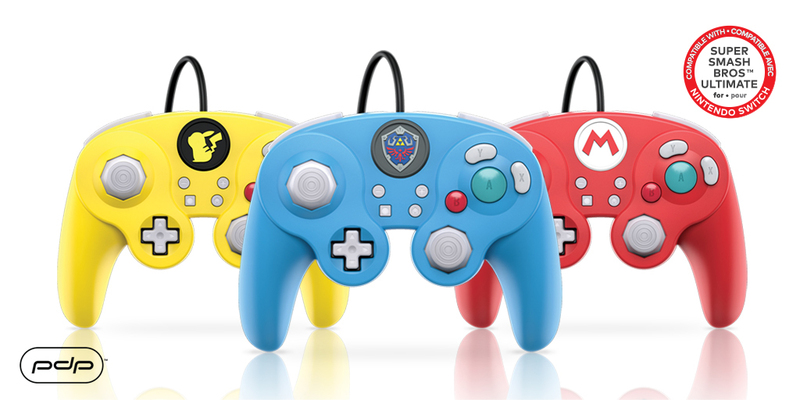 PDP made some GameCube-style Classic Controllers back when Super Smash Bros. for Wii U came out, so it’s only natural they return for Smash Ultimate with some new pads. This time, they’re USB controllers just like the Hori pads. Uniquely among these Smash-timed controllers, the C-Stick is swappable, so you can either keep the smaller stick or make use of an included normal-sized stick that mirrors the left one. Also like Hori, they come in Zelda, Mario, and Pikachu themes, now with a nice etched logo on the front. These third party controllers, on the other hand, are wireless via Bluetooth 5.0 and includes motion sensing. Power A’s design does a superb job of nailing the look of the original GameCube controller, while doubling as a Switch controller. One major advantage of Power A’s controller is the inclusion of motion sensing control, so a motion-heavy title like Splatoon 2 is fully playable. Unlike Nintendo’s own Pro Controller, this uses two AA batteries. 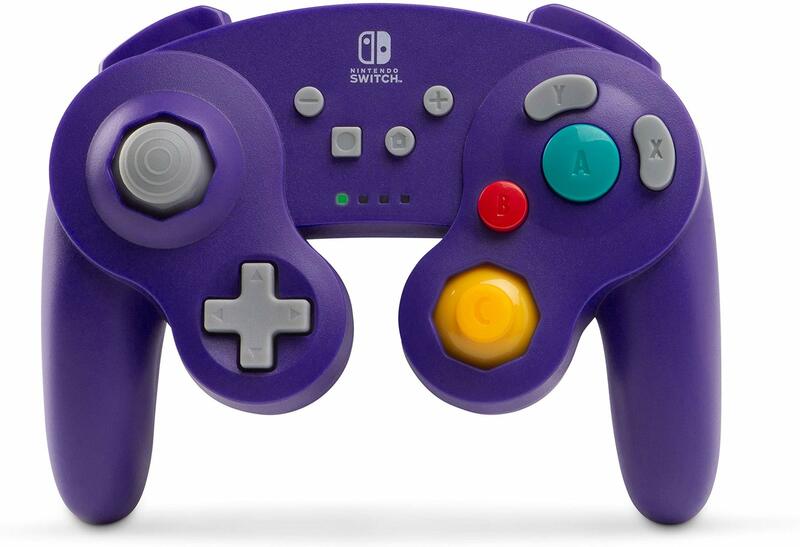 And for the color-discrete buyer, there are a variety of colors to choose from, including GameCube-purple, silver, and gold. 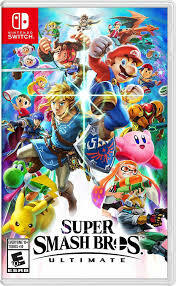 Originally released for Super Smash Bros. for Wii U, this new model is identical to the old one, save for a Nintendo logo in place of a Wii U logo on the unit. This USB adapter allows up to four players to play the game (or any number of Nintendo Switch games as a generic USB controller) with the old faithful GameCube controller. 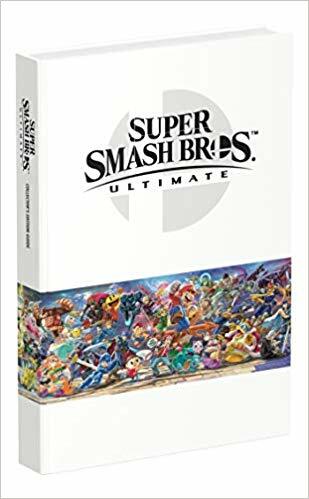 Strategy guide strategists Prima Games recently announced they will be closing in 2019, making their guides to Super Smash Bros. Ultimate some of their last printed work. If you’ve an affinity for the printed page, you’re going to need tips from the pros. There’s both a regular strategy guide and a premium Collector’s Guide to choose from, depending on your price range. Since the beginning of November, Nintendo has been slowly trickling the original line of Super Smash Bros. amiibo back into retailers, thanks to their compatibility in the new game. Those re-issues vary by store location and availability, but the real story is the new wave of Super Smash Bros. Ultimate amiibo. 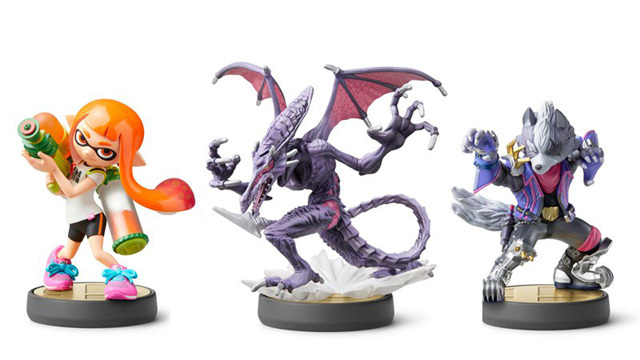 As of launch day, Ridley, Inkling, and Wolf will be available, retailing for a higher MSRP than the usual amiibo ($16 each versus their typical $13). More figures for the new fighters, and those who didn’t have a presence in Smash Wii U, are launching across 2019, including the Piranha Plant amiibo in February.